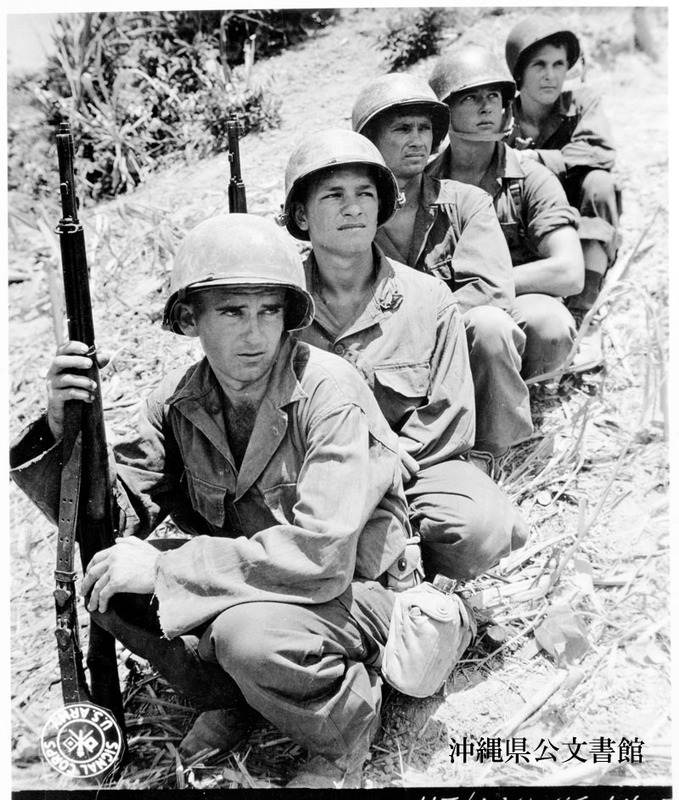 Five 96th Division Texans are considered ”Aces” by their buddies in Company ”I”, 383rd Infantry Regiment, an ace being anyone who killed five or more Japs. From bottom to top: S/Sgt. Vernon Z. Wilkins, 101 Chicago St., Delhart; Pfc. Albert Welfel, El Campo; Pfc. Richard S. Groce, 318 Lafitte St., San Antonio; Pfc. 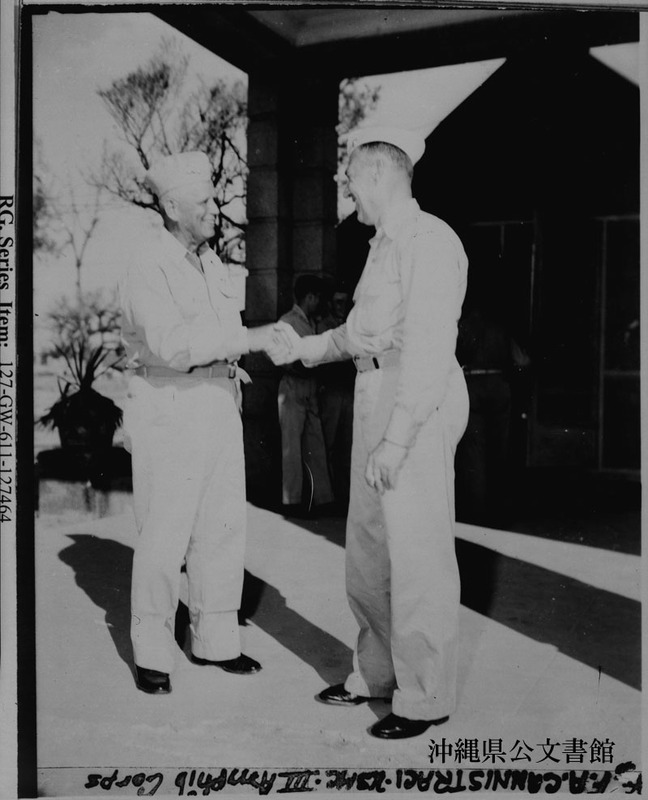 Roy D. Clapper, Florey; and Pfc. Russell Linnard, Pharr. All are from Texas. 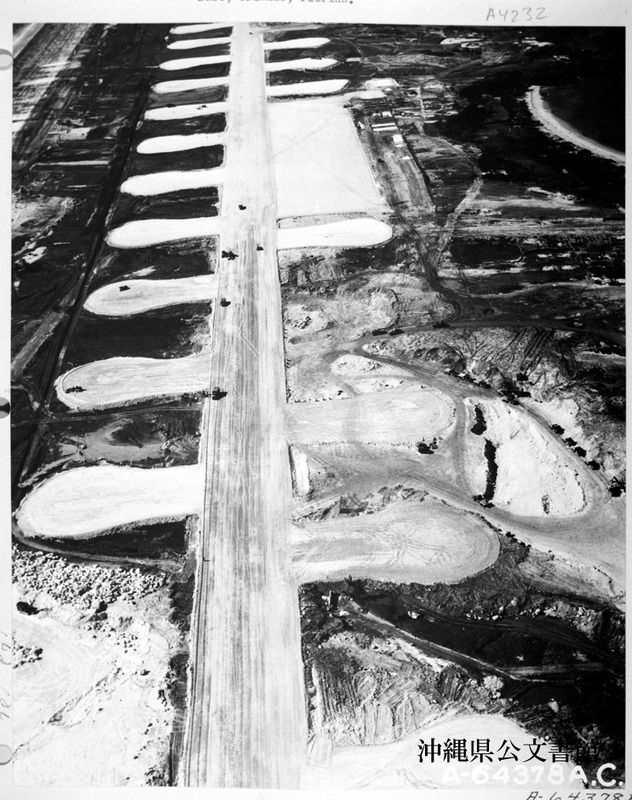 Aerial view of Bolo Airstrip under construction by 72nd, 78th, 82nd and 87th Naval Construction Battalion. 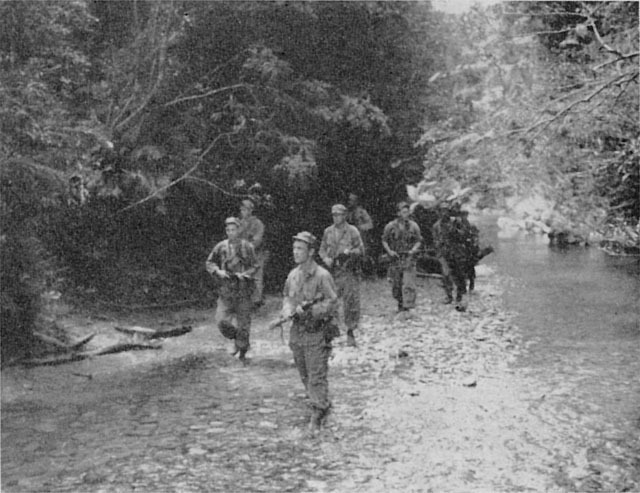 Okinawa, Ryukyu Retto. 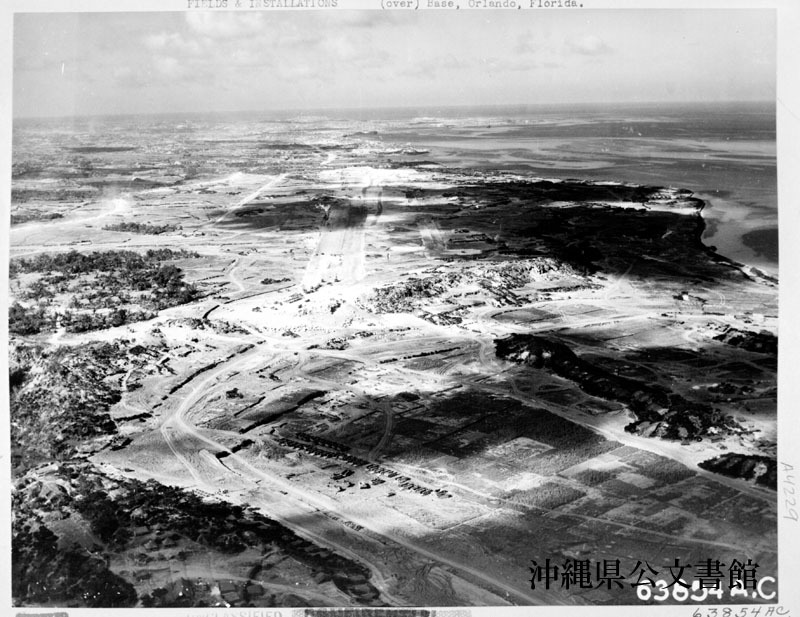 B-29 “Superfortress“ strip being cut out of the crub covered hilly terrain at Futema on the west side of the southern half of Okinawa, Ryukyu Retto. This super bomber strip was constructed by the 806 EAB's on 15 June 1945. 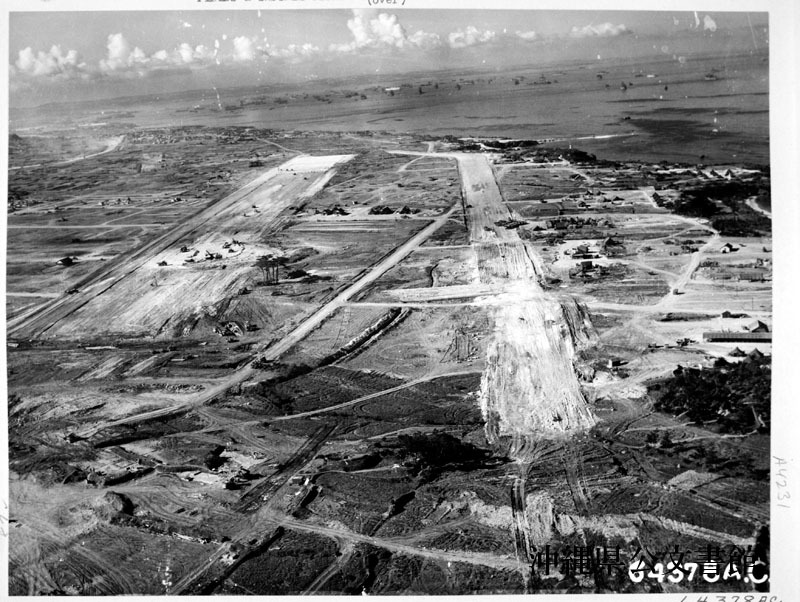 The runway was 7,500 feet long and 200 feet wide and the surface was made of crushed coral with coral rocks for the base. 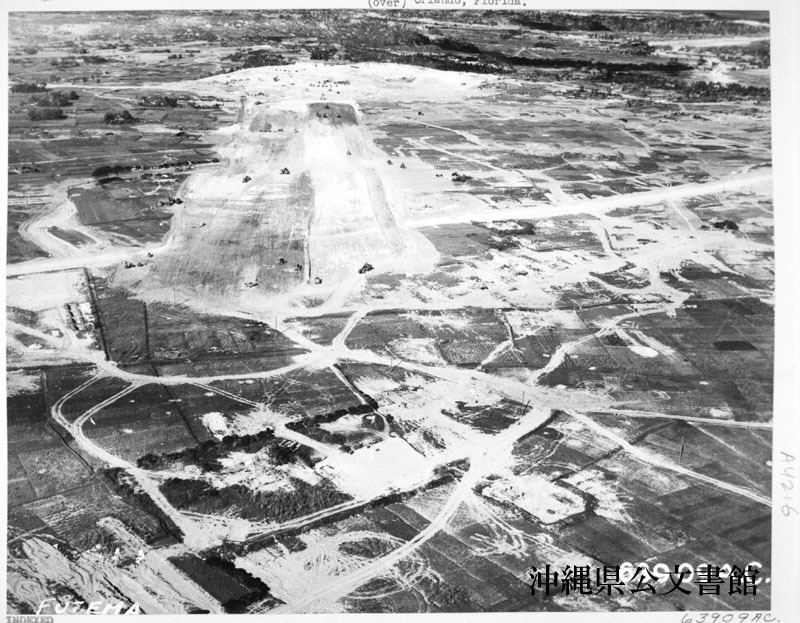 On the west coast of Okinawa, just north of the ruins of Naha City, the 874th & 1906th Engineer Aviation Battalion started to cut an airfield out of the hilly terrain for the 7th Air Force. 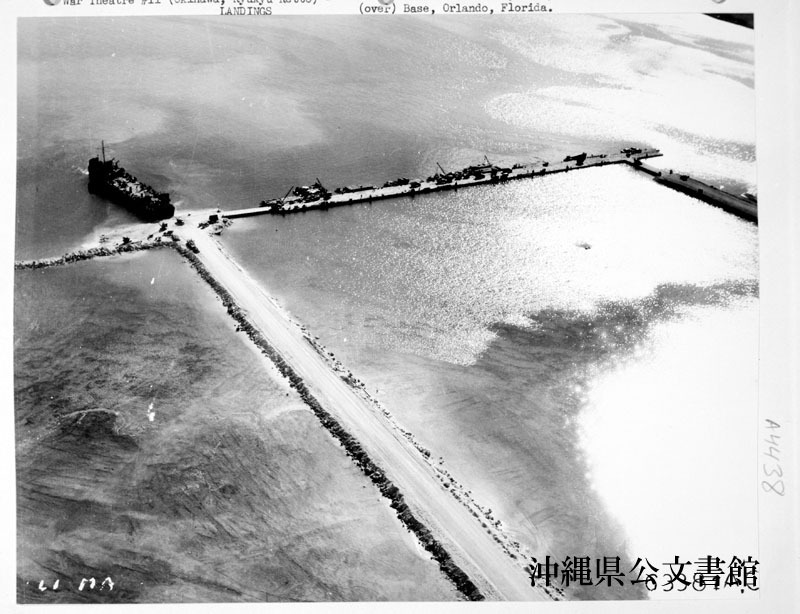 The sub-case had been graded and dump trucks were bringing in coral sand and rock for the base and surface of the srtip, when this photograph was taken. Construction was begun on 1 June and the completion date was the end of July 1945. Okinawa, Machinato. 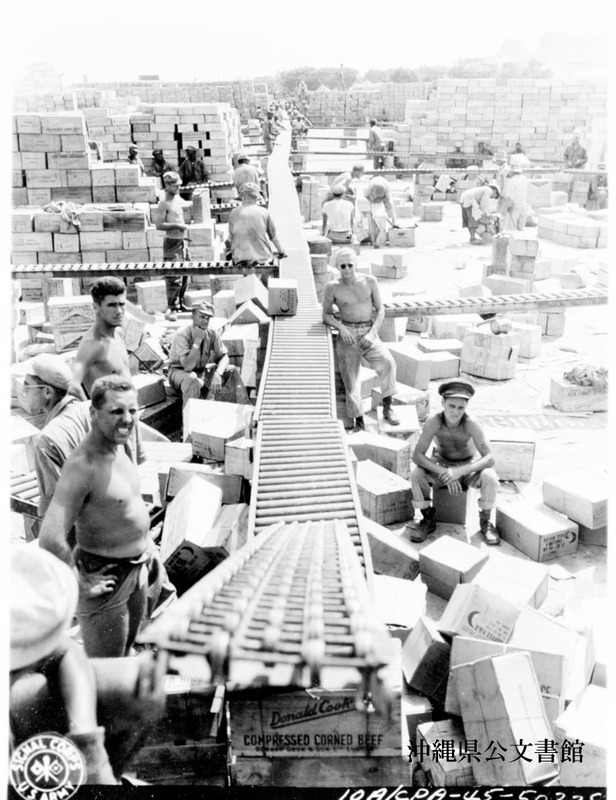 Constructed by the NCB's, to facilitate unloading of LSTs and LSMs, coral built road jetties were built into the water to enable trucks to move up to the ships for unloading of their cargo. Okinawa. The Quartermaster Class I dump on Tare Street has a conveyor line in operation to facilitate the movement of supplies. 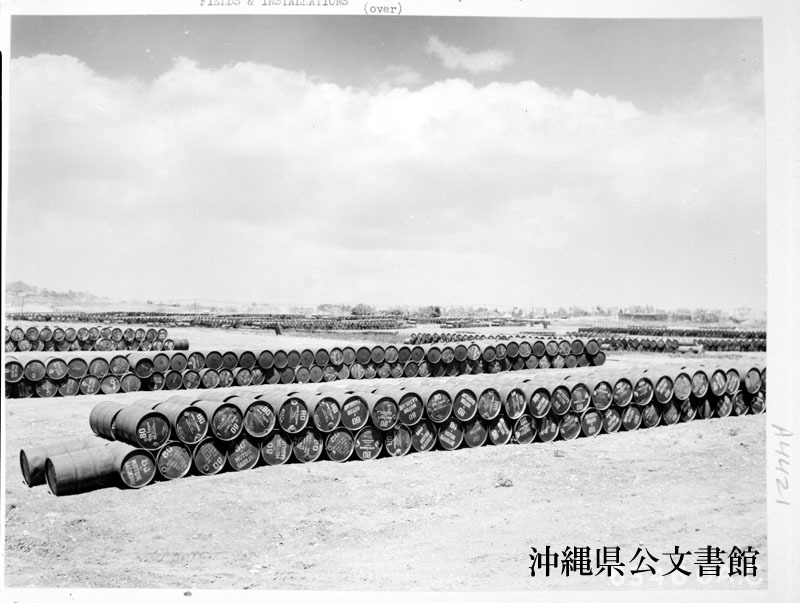 Rows of gas and oil drums in the supply area from which they were issued by the 4474th QM Depot Company, and formerly by the Bulk Service Battalion, started 30 June 1945. 60-80 octane gas and 10-30-50 lubricating oil was issued to all outfits. Okinawa.